One of the best ways to enjoy Chandler’s 300 plus days of sunshine per year is with a picnic in the park. While you can spread a blanket and dine al fresco at any one of the city’s more than 60 neighborhood and community parks, for a full day of fun, pack a basket and head to one of these top four picnic spots in Chandler, Arizona. Or make life simple and pick up a quick meal and go. 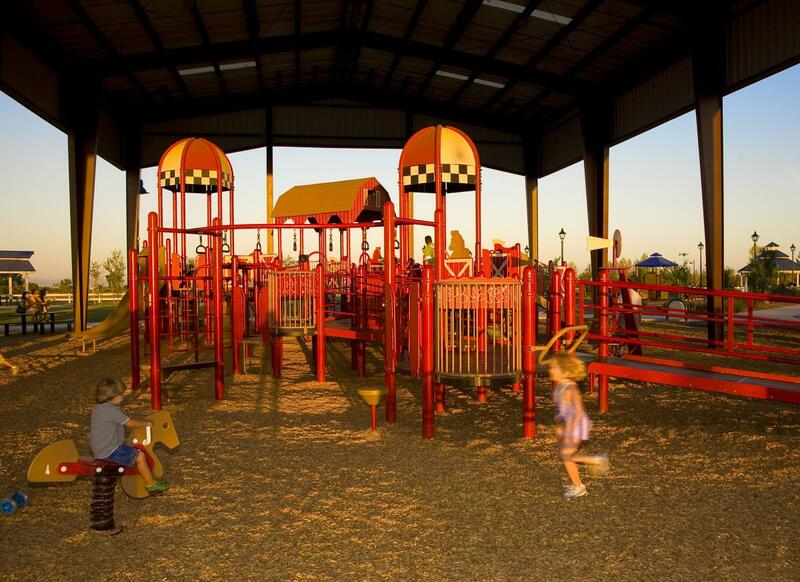 The city’s largest park is also one of the East Valley’s most popular, thanks in part to Playtopia, a 2.5-acres playground divided into three themed played areas: Farm Land, City Land, and Critter Land. After a picnic, kids can climb and slide on a play set that resembles a barn at Farm Land, ride tricycles and small bikes past the mini street signs and lampposts of City Land, or hop on the back of a massive Gila monster in Critter Land. Older kids and adults can play horseshoes, sand volleyball, Frisbee, or tag. There are plenty of trails for strolling through Tumbleweed Park, too. If you decided to explore the park by foot, don’t miss Tumbleweed Ranch, a collection of three historic buildings and farm equipment located in the southeast section of the park. Tumbleweed Park has plenty of open space to picnic on the ground plus 18 pavilions available for rent. Most of these can accommodate 15 to 30 people although a few larger ones have room for up to 80 and a corporate pavilion can hold up to 330. Each pavilion has BBQ grills and access to electricity. Desert Breeze Park is another great picnic destination for a family picnic. Kids can play on the playground equipment, fish in the lake, or ride the 1950s-era carousel with 30 painted ponies. From April through October, they can also cool off at the park’s splash pad, open daily from 10 a.m. to 6 p.m. 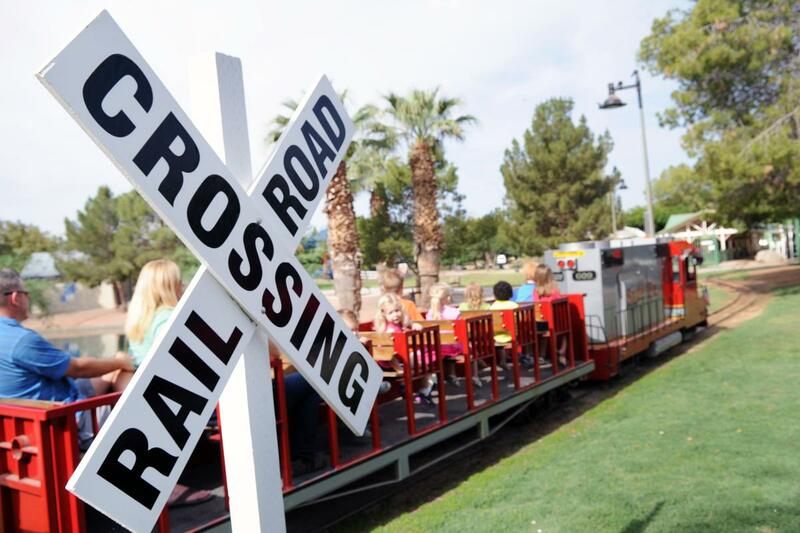 But, the main draw is the Desert Breeze Railroad Express, an open-top, 1880s train complete with a caboose that takes passengers on a ¾-mile tour of the park. Although it operates most weekends (except in July and August), you’ll want to check online before you plan a picnic around it to confirm hours and for weekday and holiday schedules. Desert Breeze Park has plenty of picnic spaces, including three lakeside pavilions and one barbecue pavilion with four grills. Each pavilion has 10 tables and is available for rent. Nature takes center stage at Veterans Oasis Park where you can enjoy views of the 5-acre lake as you picnic. Plan to walk the 4.5 miles of trails that wind past a lake, several wetland areas, and hummingbird and butterfly habitats. Along the way, watch for coyotes, jackrabbits, and the 153 species of birds that have been spotted here. 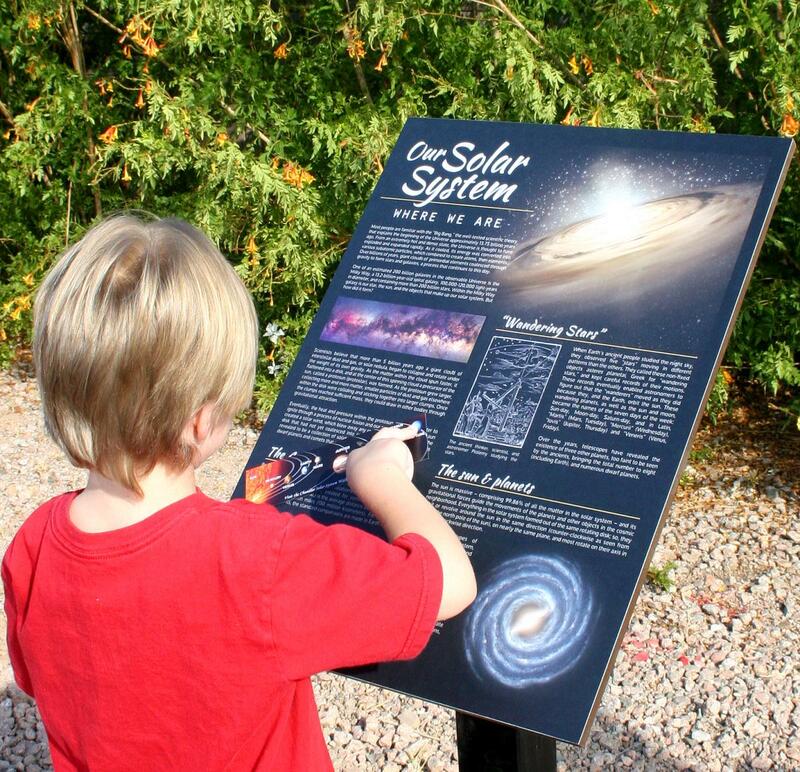 Or, stick to the paved trail around the lake, where you’ll find a 2,500-hundred-foot solar system walk. The signage representing the sun, eight plants, dwarf plants, and more, is spaced to scale with every foot traveled on the walk represents 1.5 million miles. Veterans Oasis Park also boasts the Environmental Education Center with displays on the Sonoran Desert and the animals that live there. Located in downtown, Dr. A.J. Chandler Park—named for the city’s founder—is the original town square. Unlike might parks, you won’t find playground equipment, grills, and nature trails. Instead, the park is surrounded by restaurants, galleries, boutiques, offices, and the historic San Marcos Resort, which means there is plenty to do before or after your picnic. Although there are benches, shaded areas, and green spaces, Dr, A,J, Chandler Park doesn’t have picnic tables, so you’ll want to bring a blanket. The good news is you don’t necessarily have to pack a picnic—you can get take out from some of the local restaurants, like the Original ChopShop Co. Even if you do bring your own lunch, you may want to save room for a Mexican popsicle at Paletas Betty. Chandler Park hosts unique events throughout the year, including the Tumbleweed Tree lighting, as well as a farmer’s market (every Thursday from 3 pm. 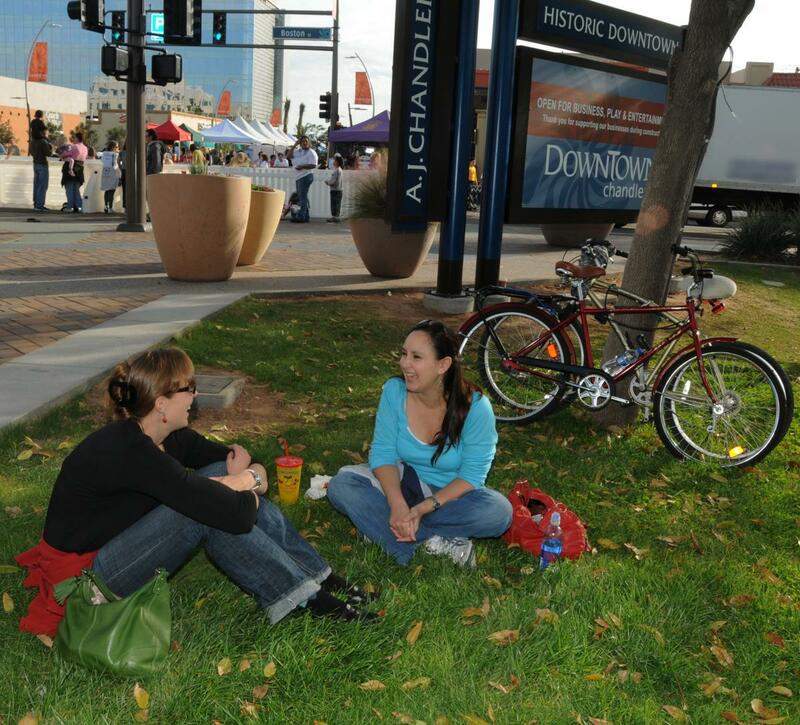 to 7 p.m.; October through April) and the Downtown Chandler Art Walk (every third Friday from 6 p.m. to 9:30 p.m.). The City of Chandler offers a number of picnic pavilions for rent at many of the Chandler, Arizona parks. Reservations may be made on-line, in-person at the parks office or by calling directly.